On a windy Saturday morning, I found myself blown up Edward Street towards The Wonderous Wedding Fair located in the grandeur grounds of Brighton College. Clutching a bag of cables and our top tips when booking your venue leaflets, I was ready to meet other suppliers and potential clients. Despite the weather, it was a good turn out of brides and brooms to be. 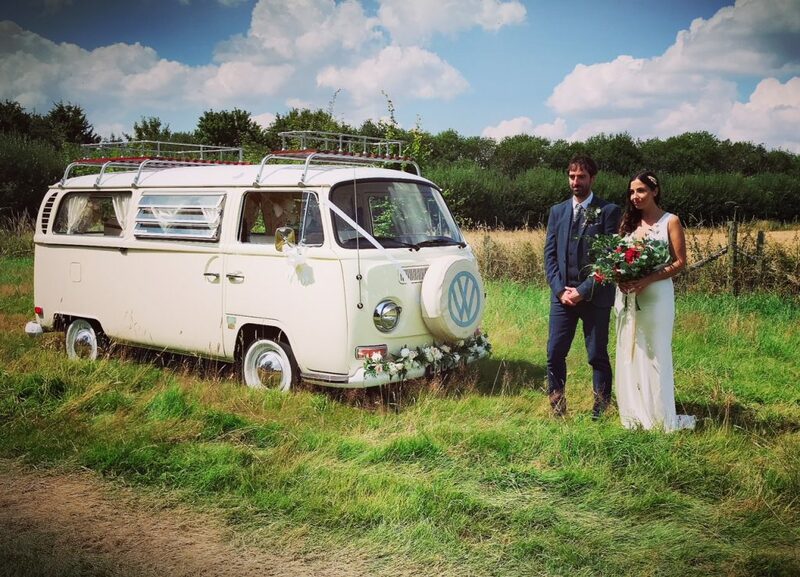 A wood fire pizza oven from @tinroofkitchen with delicious slices and a quirky VW camper from @busandbugvintageweddings greeted you just outside in the main entrance. 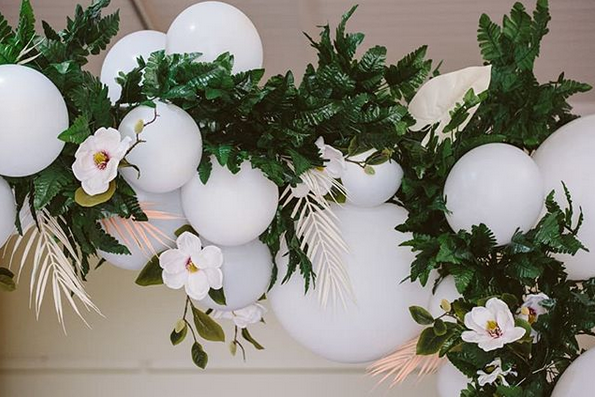 A beautiful balloon/flower combination arch created by @phohm hung over the entrance and set the scene for plenty of quirky and unique stalls ready for the day ahead. 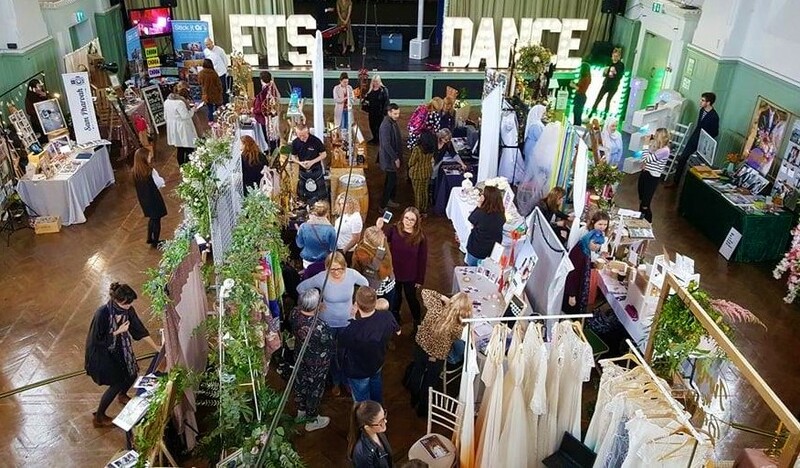 There was a great selection of vendors to cover everything from sign illustrations by Amelia Waters Studio to huge decorative lights from @lockeandbusby. After speaking to most of the exhibit owners it was great to get to listen to their story and be amongst other supportive local and small independent businesses. The Stick It On stall was stationed next to Bus and Bug Vintage Weddings who provide an amazing VW Campervan and VW Beetle which also double up as a photobooth, perfect for something a little different! Click here to view their website and get in contact as it’s definitely one to check out. The stage was graced by Lady & The Dukes, performing duke box hits with a vintage spin. 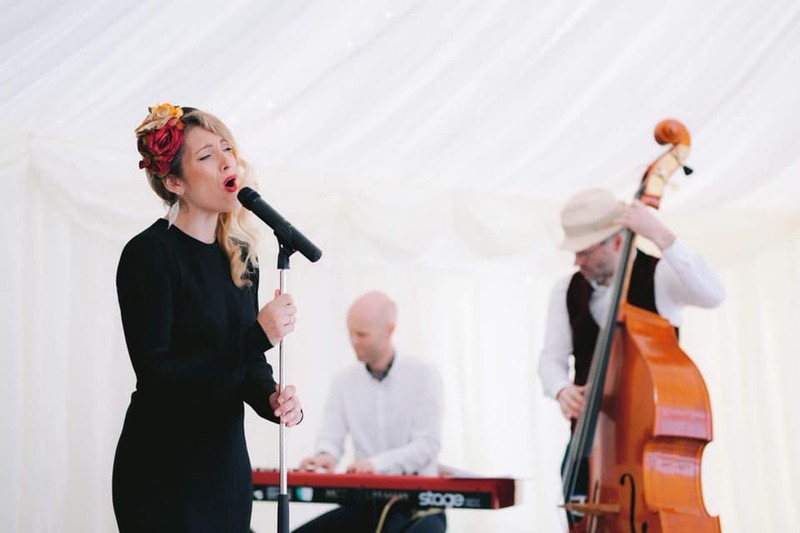 Lauren Ross is a very elegantly dressed woman with a fantastic singing voice accompanied by the Dukes playing live piano and double bass. If you’re looking for a band option – then these are your guys. Check out their website for more information. Providing both bespoke and ready to wear suits, Gresham Blake provides high quality tailored suits for Men, Women and children. 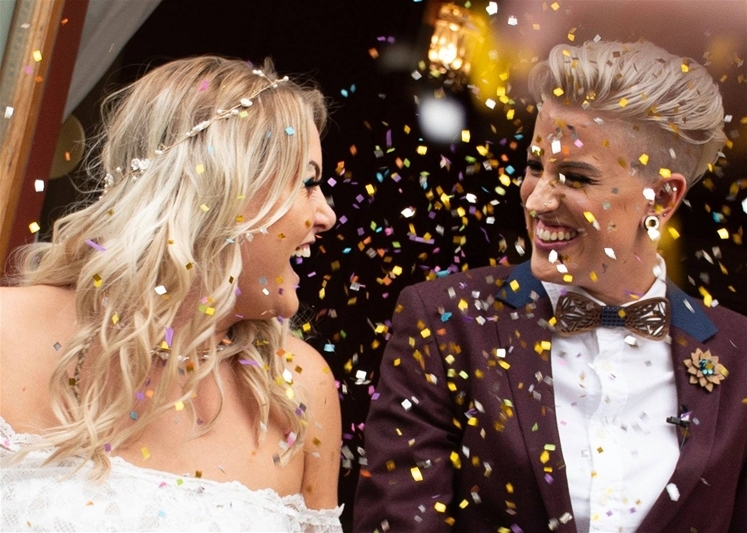 They have stores in both Brighton and London so drop in, it’s definitely worth checking out if you’re looking to treat yourself with a fine bespoke tailored suit for the big day. Introducing something a little different is Rab who runs The Spirit of Scotland pop up whisky bar, available for private parties, weddings, corporate events or just good old-fashioned knees up. Rab also stocks Cuban and Honduran cigars if that’s your thing! Enjoy up to a 21-year whiskey and a puff on a Cuban cigar whilst you toast your celebrations. Head to the website to find out more. If you’re stuck on wedding gifts including mother of the bride/groom then I would suggest dropping in at Ambience. They specialise in beautiful vintage wedding candles, bespoke favours and thank you gifts. 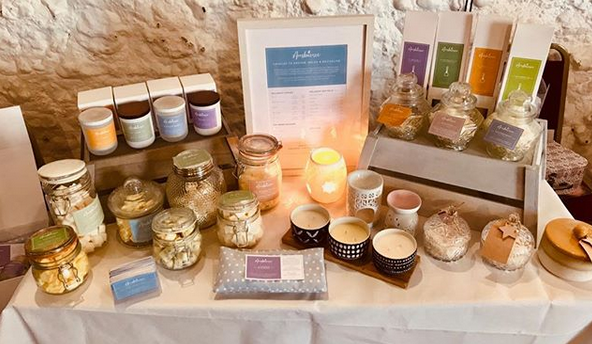 Ambience create beautiful scented candles and wax melts you can choose to gift, add something different to your centrepieces or even just a treat for yourself! Head over to their Instagram page. The overall feel of the day was great and well worth attending. 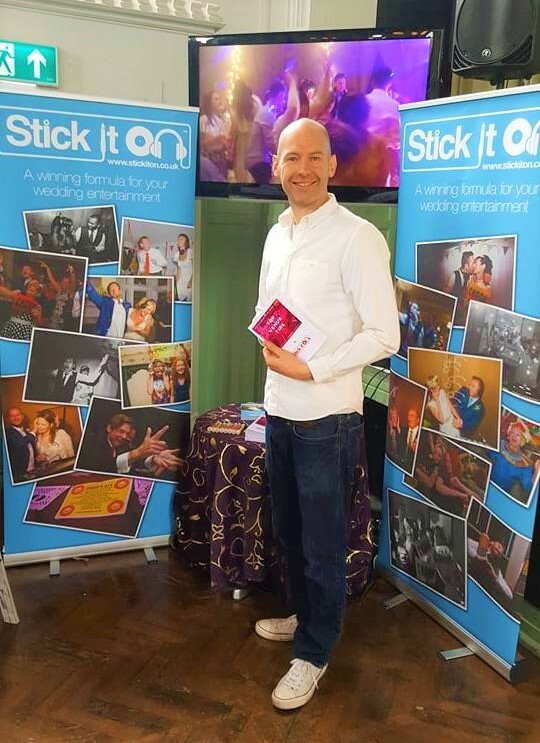 with suppliers mingling and speaking to future clients with some good conversations had about the wonders of Stick It On. The day was definitely a success. 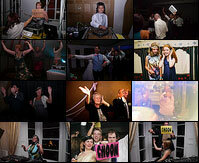 If you or someone you know has an upcoming wedding and are interested in more information about out alternative DJ entertainment, send an email to ysobel@stickiton.org.uk and we’ll get back in touch.